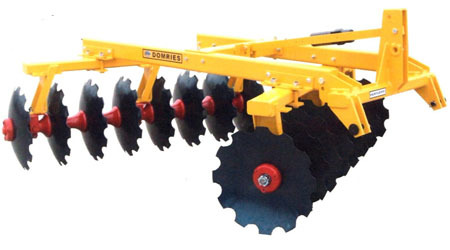 Specifications: blades 22" or 24" on 9" spacing, trunion mounted triple sealed bearings, 1 1/2" square hi(c)carbon steel gang rods, Cat I or II 3 point hitch, and cast iron spools. Twelve sizes from 5'5" to 9'2". Weights: 1172 to 1804 pounds. Options: blade cleaners, heavy gauge blades, add-a-blade extensions. 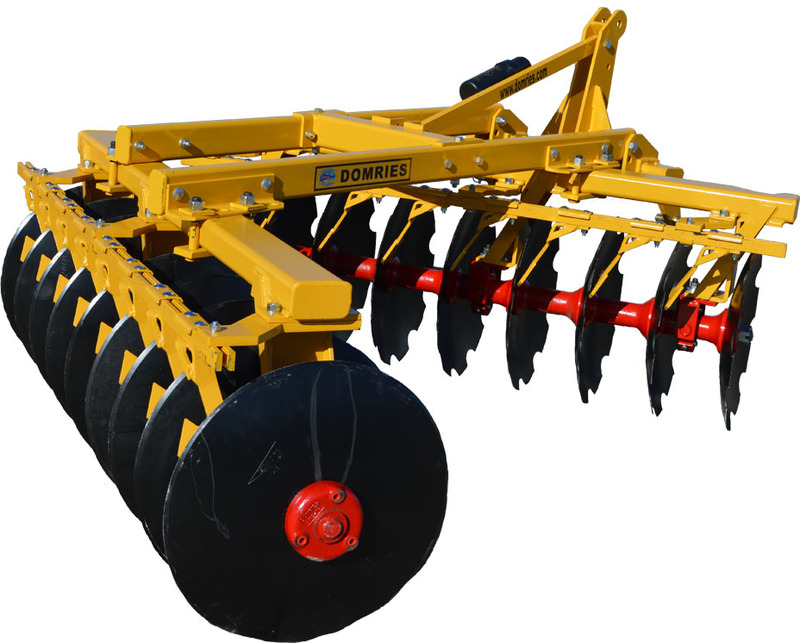 Features: Ideally suited for weed abatement, rental yards, heavy soils or roadside maintenance, the Extra Heavy Duty offset will standup to extremely tough usage.